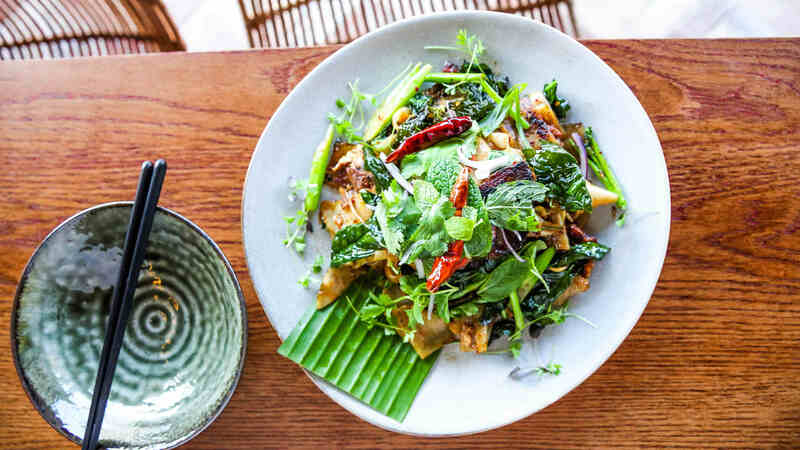 A good stir-fry is all about the breath of the wok – that magical combination of heat, timing and squeaky-fresh produce that transports you straight to the backstreets of buzzy Asian cities. 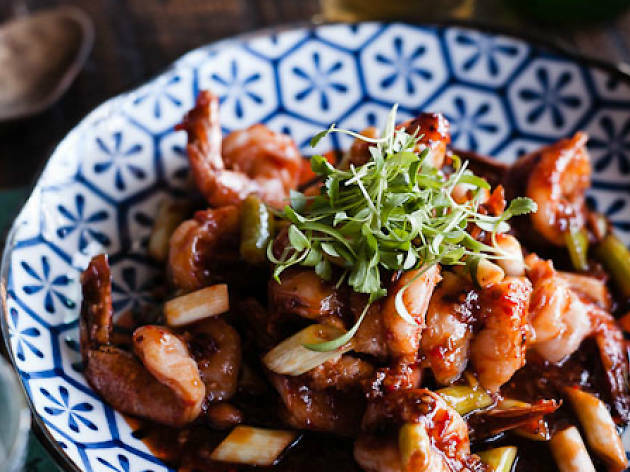 Whether it’s fiery kung pao chicken or a plate of Indomee Goreng with a twist, we’ve sought out ten delicious stir fries in Sydney. 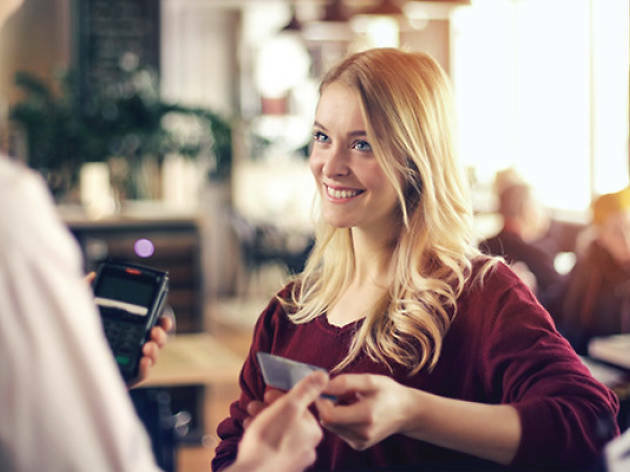 Check out the diverse range of dishes that come alive in the wok, and pay in confidence knowing these venues welcome American Express. 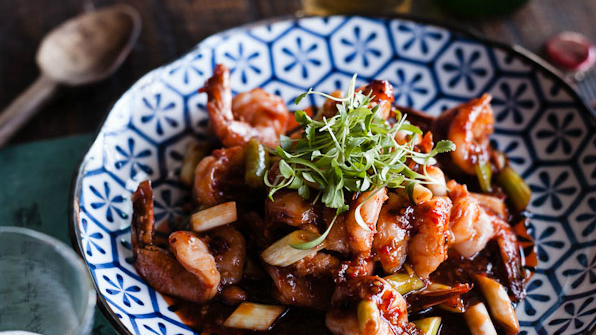 Mr Wong may be known for its deluxe dim sum and crisp-skinned barbecue duck, but this popular Cantonese fine diner also does a winning version of kung pao chicken. 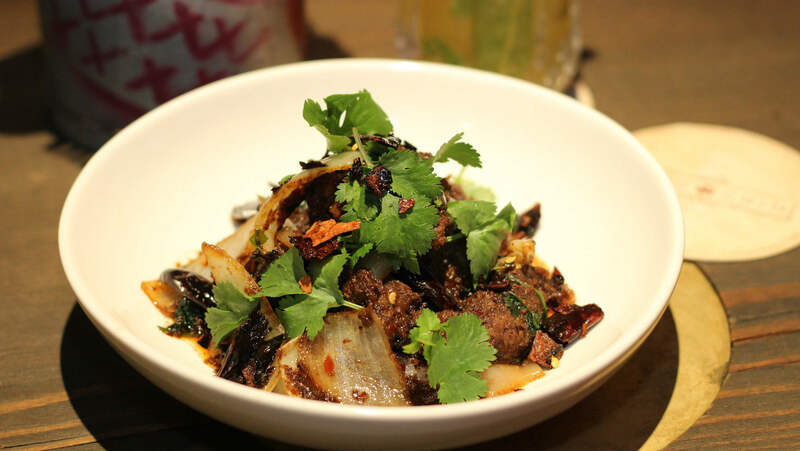 Executive chef Dan Hong’s version is made with marinated diced chicken, dried chillies, spring onions and a healthy dose of Sichuan pepper. Glazed with a touch of Taiwanese soy paste, and finished with the crunch of peanuts, this lip-tingling dish is one of Mr Wong’s bestsellers. Yum cha isn’t all about dumplings. 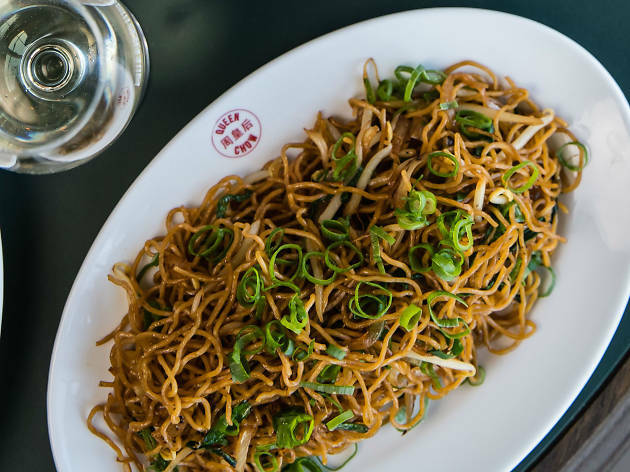 Queen Chow Manly gives you a good reason to hit the carbs in the form of chow mein – a classic stir-fried egg noodle dish that’s all about nailing the smokiness from the breath of the wok. 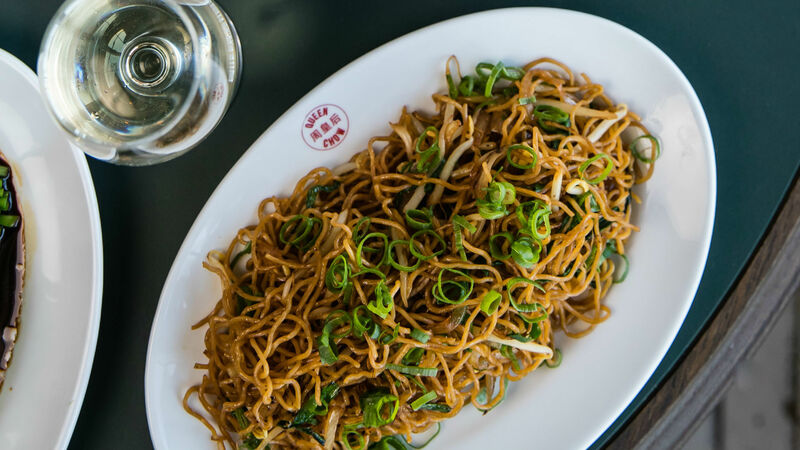 Fresh egg noodles are blanched then flash-fried with onion, garlic chives and crunchy, fresh bean sprouts. 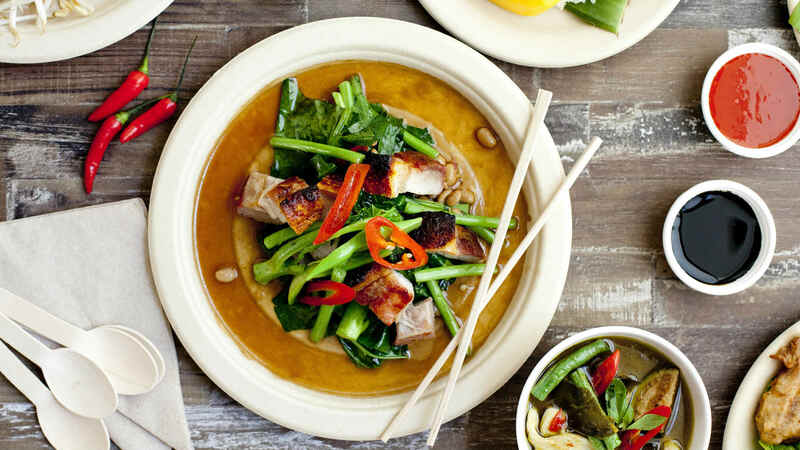 Flavoured by the umami of sweetened soy, it’s a simple Cantonese dish that comes to life with the intense heat of the wok. Chef David Thompson’s Long Chim may be the kind of slick basement restaurant where you can sling a cocktail with your pad Thai, but much its menu is actually inspired by rustic street food from all over Thailand. 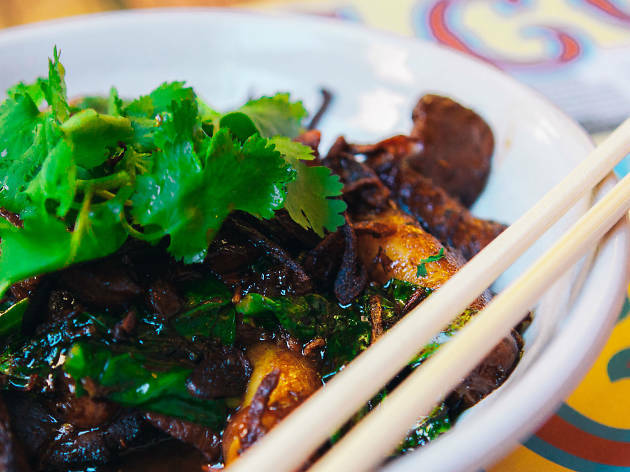 His stir-fry rib-eye beef with cumin, for example, is adapted from Muslim street food stalls in the beachside province of Hua Hin. 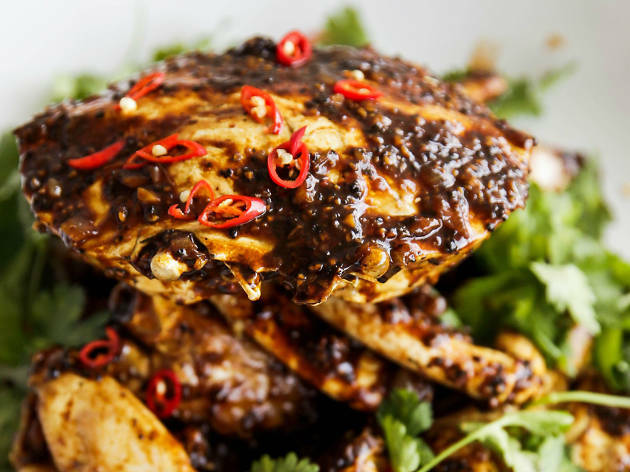 Tossed with fish sauce, galangal, chilli powder and Thompson’s housemade (and mercilessly hot) cumin chilli paste, it’ll leave you teary in the best possible way. Arguably the most beloved late-night dish in Sydney, Golden Century’s XO pippies is the culinary equivalent of hitting the jackpot when you find yourself in Chinatown at 1am. 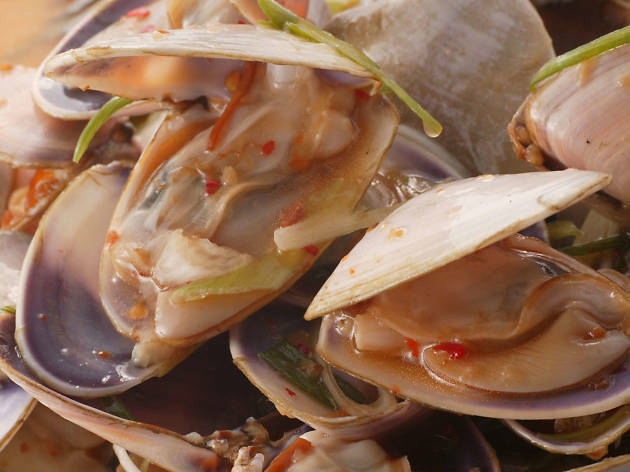 Plump, fresh pippies are fished out of a live seafood tank, then tossed with a sticky, dried scallop-packed housemade XO sauce. Ask for a side of crisp-based vermicelli to soak up that glorious sauce, and wash down the whole thing with a frosty Tsingtao. 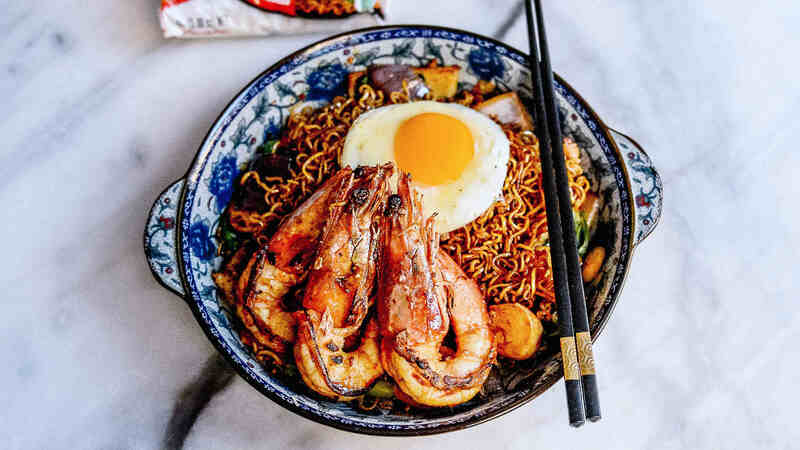 It’s hard to know where to start with this gutsy Malaysian joint’s 16-page menu, but take one look around Ho Jiak’s jam-packed dining room and you’ll find most people hovering over a plate of Indomie Goreng (yes, the packaged noodle brand). Splash out on the king prawn version. 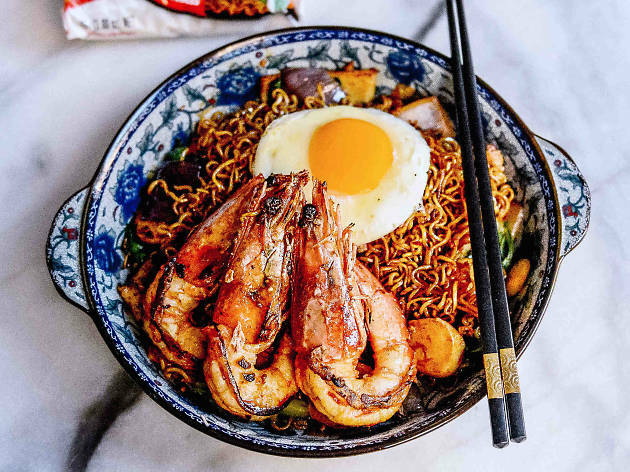 It’s the most luxurious incarnation of instant noodles we’ve ever had. Sautéed with prawn oil, fishballs, onion and choy sum, the noodles are finished with a lick of housemade dark soy and chilli paste. Oh, and a sunny-side-up fried egg for photo-worthiness. Crab is king at Chatswood’s Mama Mulan. The modern, smartly designed 180-seater has six styles to choose from. 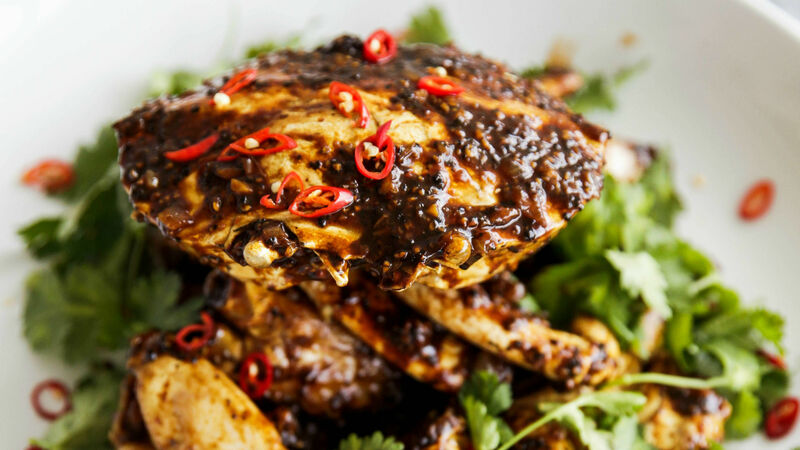 You can ease in with former Lotus head chef Marble Ng’s simple ginger and shallot version, or go straight for the top of the Scoville scale with a Sichuan pepper and garlic sauce. Our money is on the black pepper muddies, smoky and spiked with just the right amount of heat from the housemade sauce. 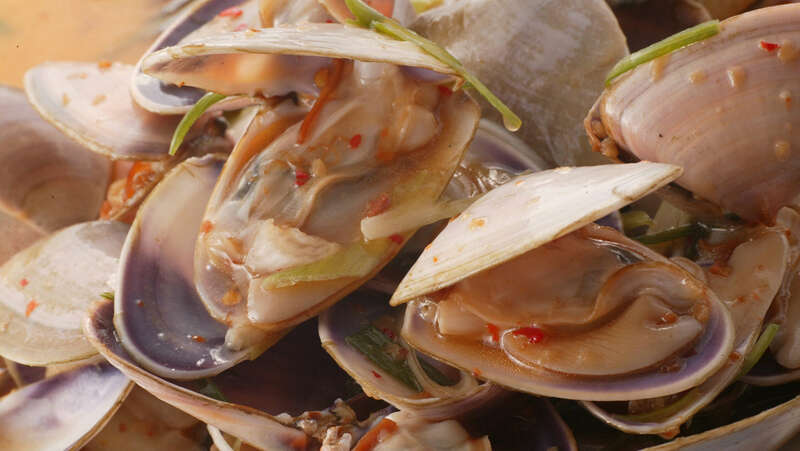 You’ll be happily digging through the fragrant shells for the sweet crab flesh. 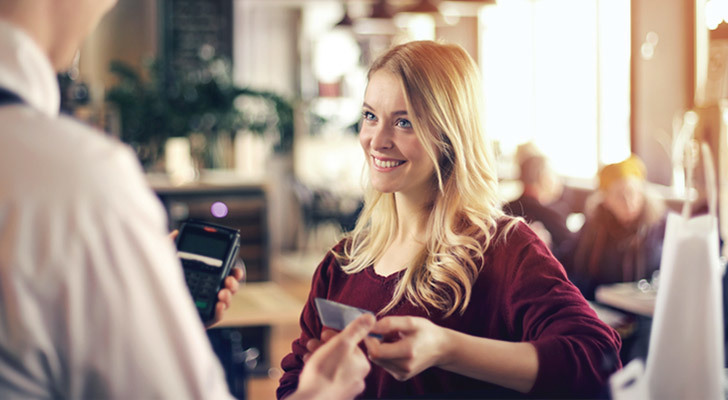 Cheap street food, BYO booze, and al fresco eating under fairy lights – there’s plenty to love about a quick meal at Spice Alley. 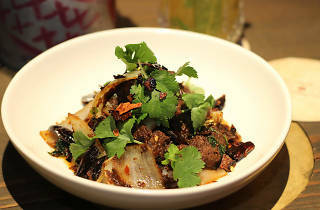 Bang Luck, run by former Mama’s Buoi executive chef Tiw Rakarin, is one of the stalls we find ourselves gravitating to. 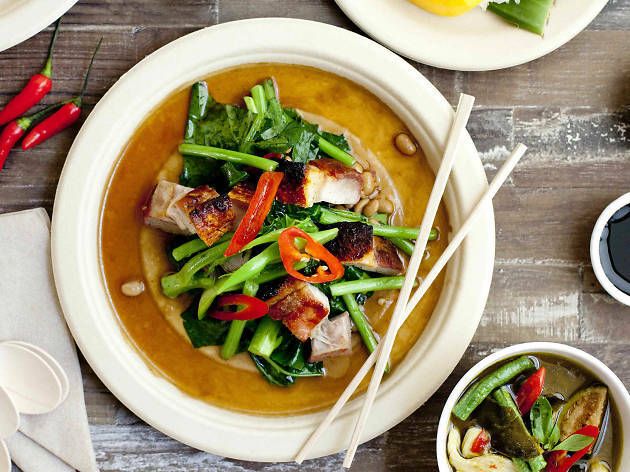 Thanks to the fusion of Thai and Vietnamese influences, you get rich but squeaky-fresh stir-fried dishes like its crispy pork belly with chilli, garlic and crunchy greens. It’s a breezy mix of salty, sweet and spicy – an antidote to your mid-week Netflix binge and takeaway curry. The secret to a good pad seuw (or pad see ew) is that sticky caramelised soy that coats everything in its orbit. But the guys at Chin Chin take this one step further and swap the flat rice noodles for the rolled version for an extra textural touch. Picture silky logs of noodles tossed with smoky soy, gai laan, white pepper and slices of melty Wagyu – it’s a clever take on a classic that’ll win over even the staunchest noodle traditionalists. 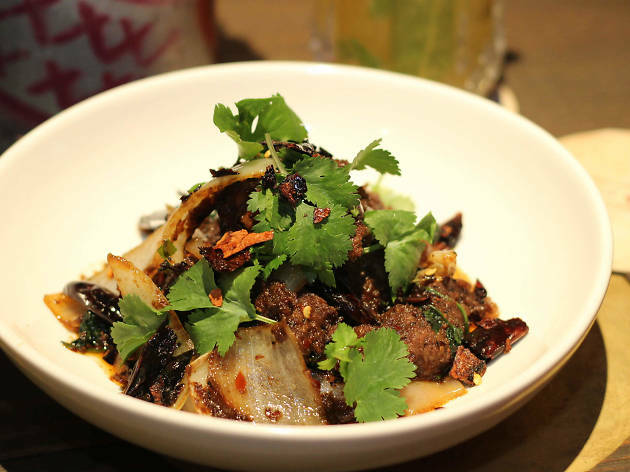 Steam Mill Lane’s Rice Fields is powered by the team behind popular Yunnan eatery Two Sticks. 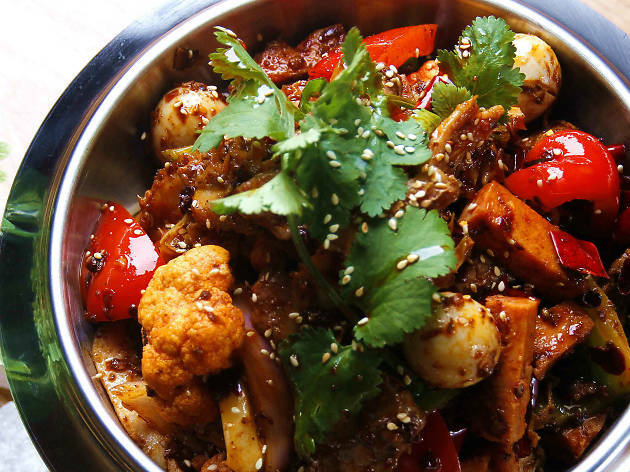 This Darling Square joint, however, is all about Sichuan-style dishes. And as the name suggests, its homestyle menu is designed with rice-pairing in mind. 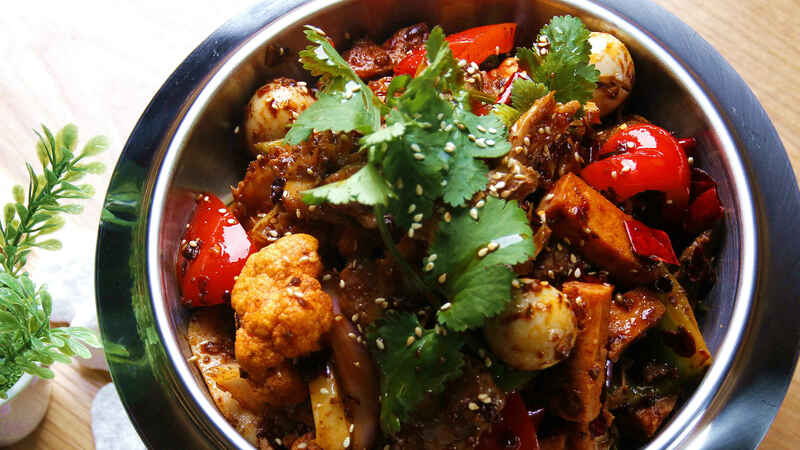 Check out the Sichuan wok-fried veggies – a generous medley of dried bean curd, tofu skin, lotus slices, cauliflower, capsicum and crunchy black fungus, all coated with its signature tongue-numbing pepper. 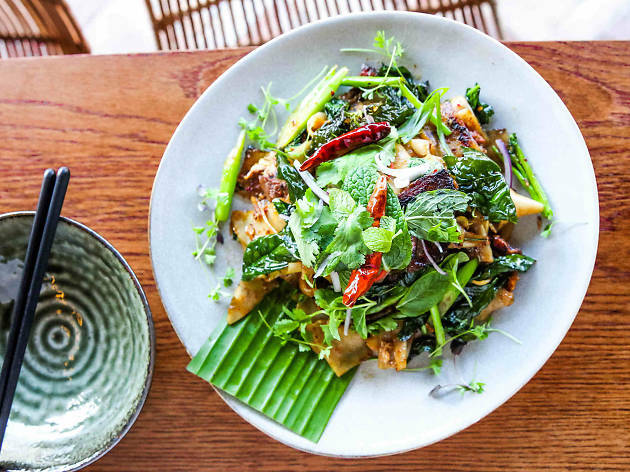 We all know the best hub for Thai food is in Haymarket’s Thai Town, but the Eastern Suburbs are catching up with newcomers like Paddington’s Chubby Cheeks. Fresh on the Oxford Street scene, chefs David Claesson and Em Meechai’s modern eatery has a dynamic menu that incorporates east-meets-west techniques. 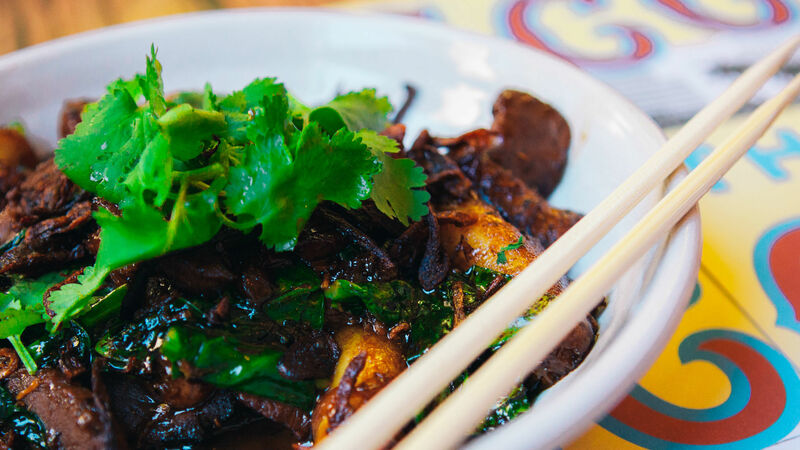 Our favourite is the drunken noodles — a wok-tossed flat rice noodle with chilli, basil, green beans and a 12-hour smoked beef brisket that’s as melty as it is smoky.